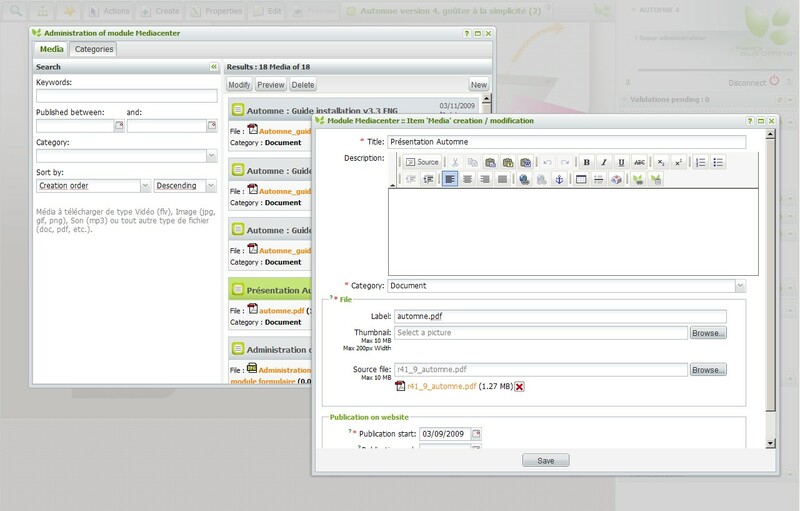 Want to quickly see how the open-source software Automne CMS works? You'll find a free and updated demo installation of Automne CMS here. We are currently updating the Automne CMS demo. Please check back shortly. There will be a new version up soon. 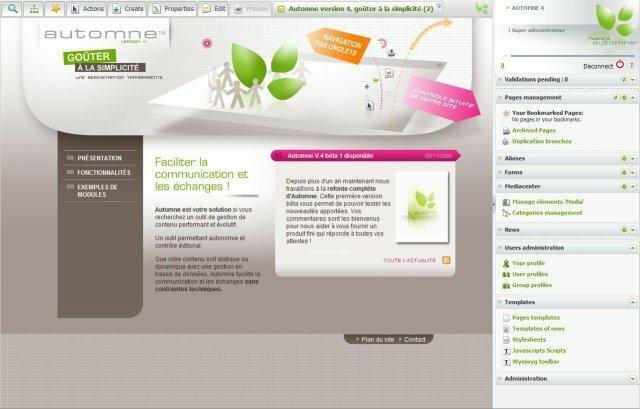 Automne CMS is a free open source content management system developed in PHP, maintained by French agency WS Interactive. Just like any other CMS it comes with a lot features for content and user management that help create any size website. You can set up your own Automne CMS demo by downloading the files using the link below and going through the installation process. You can also check out the Automne demo available at their official website. The demo site will walk you through all the features it has to offer like template manager, media library, RSS modules, email notifications and multi language management. The latest version available for download is 4.2.1 and was released on April 17, 2012.